Casuarina Forsyth Dietitian - Meal Planning: Do I need It? Meal Planning: Do I need It? Some people love meal planning and prepping their meals on a Sunday evening into evenly portioned container, others are intimidated by all the tupperwear, and don't want to spend their whole Sunday preparing their meals for the week. I tend to sit inbetween the two groups. I like to plan what I might cook for the week, so I know what ingredients I need to buy and I don't fall into the 'cheese toastie for dinner three nights in a row' trap. And, while I do make a vague plan of the meals that we will cook, I'm quite sure that the meals have never 100% fit the plan. So in a sense, I make a plan and buy lots of nutritious ingredients accordingly, but it is very flexible, so if social occasions come up I can fit them in without it stressing me out. A month or so ago I wrote a post outlining my meal plan for the previous week and giving an account of how it went, have a read here if you missed it. Regardless of your goals, I can pretty much guarantee that planning your meals in advance will be an easier way to reach them than leaving what you will eat for lunch or dinner to the last minute. At the end of a long day of working, deciding what to eat can seem too difficult so we might fall in the trap of snacking until we are full, ordering take away, or eating convenient food that might not align with our goals. We know that home-cooked meals are generally higher in fruits and vegetables, and lower in fat, salt and sugar, and interestingly, people who plan their meals are more likely to have more variety with the food the are eating and eat appropriate portion sizes. So do yourself a favour and start planning your meals for the week in advance. Planning your meals ahead of the week means you are taking the guess work out of what to have for dinner each night, and doing all the deciding once in the week, instead of struggling with it every night. I like to do the planning on Friday, go to the Farmer's markets on Saturday morning, and do any preparing on Sunday afternoon. If you are starting from fresh, I would suggest keeping it very simple and sticking with mostly very easy options (eg. a salad sandwich for lunch), you want to build up your confidence before you try anything too complicated otherwise you'll be completely turned off. Below are the steps I like to take when planning my meal for the week. Give these steps a go, and see if you can create your own meal plan, if you need more guidance you can always book in for a nutrition consultation, and I can support you with this. 1. Start with a meal planner template, sign up for my monthly newsletter, and I will send you one for FREE. 2. Do you need to plan breakfast each day, or eat the same thing daily? Or perhaps you have a few options and then choose what you feel like in the morning. I have something similar to this most mornings. 3. Have a look at your calendar for the week, do you have any meals out planned? Do you have late nights at work, or meetings, that you need to take into account? You might have to find a quick and easy option for these nights. 4. Work out how many people you are planning for (this should be easy), if you live alone and are cooking from a recipe you will likely have three leftover meals from each dish you make (most recipes serve 4). Or if you live with your partner, you might have leftover lunch for the next day for both of you. Are you happy to have leftovers for lunch the next day? I find this makes meal planning a lot more straight forward, at least to begin with. Or do you have a few easy lunch ideas for the week? 5. Include a mix of red meat, chicken, fish and vego meals. You might like to keep the schedule similar for which days you eat fish etc. but then change up the preparation from week to week. For example, most Sunday nights my partner will cook a big batch of something (Spag bol, curry, stir-fry that sort of thing), then we will have it for dinner and he will take the leftovers for lunch for the next 3-4 days. Then we might have fish on Monday nights, sometimes it will be grilled salmon with salad, or a tray bake with grilled veggies. 6. Now you've worked out how many meals you need to cook per week (based on step 4 above), and you've worked out what protein option you will have each night, you then have to work out what meals you will make each night. You need to now look for recipes that suit your needs, or choose foods that you know how to cook (eg. burritos or grilled meat with salad). Keep this simple, we are wanting this to be a long term habit that is formed, so don't aim to try five new recipes in the first week. Aim for one new recipe per week (or stick with one new recipe for a couple of weeks, then try another one). If you're cooking on a week night make sure it is quick and easy, you don't want to spend your whole night in the kitchen. A few good websites for recipes are here, here and here. I also have some recipes on my website here. Psst. 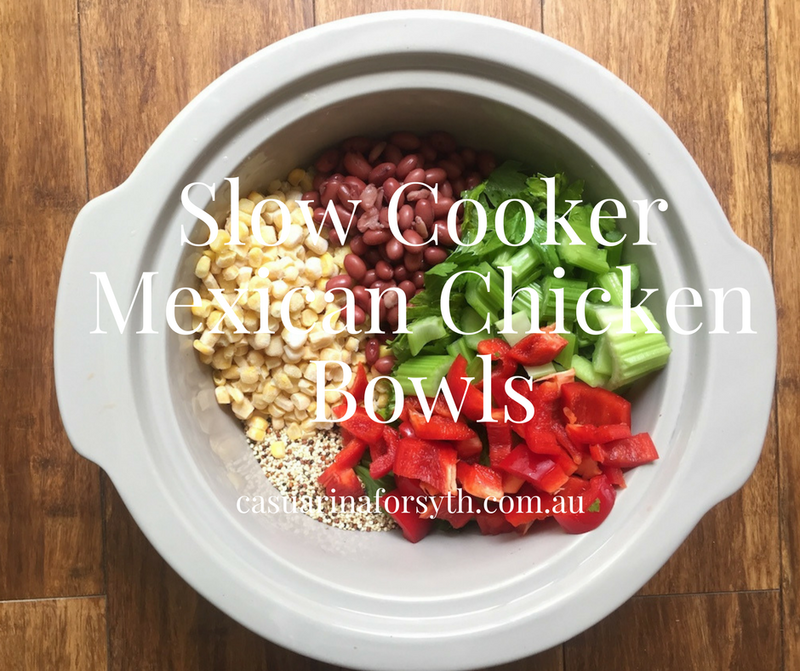 my slow cooker Mexican chicken bowls (below) are super easy and a great to put on in the morning and come home to a cooked dinner. Slow cooker Mexican chicken bowls are super easy! 7. Sometimes (but not all the time) I like to use recipes, other times I work out what protein I will be having, find a carbohydrate source, then fill the rest of the bowl with veggies, along the lines of this. ps. meat and three veggies can be a great option for dinner. 8. Make sure you have enjoyable meals included in your plan. If you try to cut out all of your favourites, you won't stick to it very long, and enjoying food is an important aspect of having a healthy relationship with food. For example, I love cheese and will often have some sort of cheesy delight for Friday afternoon or dinner. For a while we were making pizzas, but at the moment I'm in the habit of making a snack platter like below. Delicious veggie and cheese platter. 8. 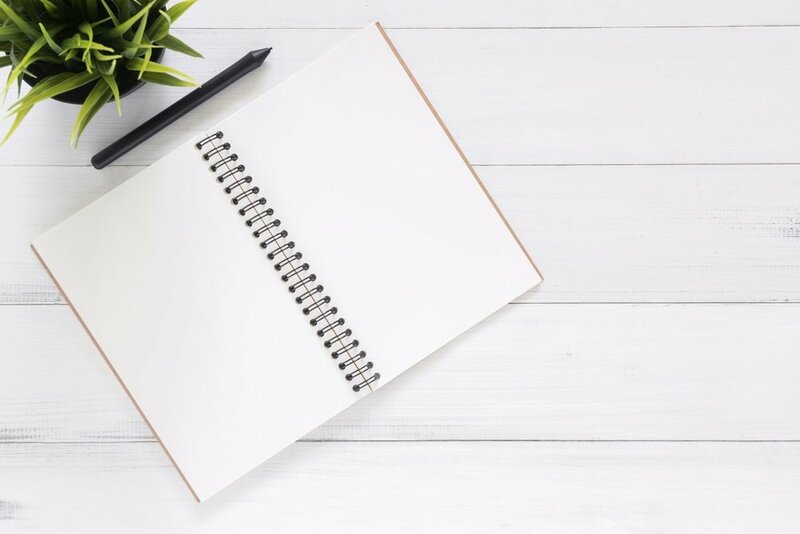 Write a big list of everything that you need based on what you have filled your meal plan with, then check your fridge, freezer and pantry and cross off the options that you already have. I also like to group similar items (eg. fruits), so that it is easier for me to know what I need when i'm at the markets or supermarket. 8. Now you have this master meal plan, if you find it works for you, you could keep it similar and just change a few meals each week. This will make things a lot easier for you. If it's not working the way you would like it to perhaps it might need some tweaking. If planning your meals ahead of time is a new concept to you, give yourself time to learn this new skill, as with anything new it will take some time until it becomes a habit for you. Hang in there, it definitely gets easier as you go, and makes eating well so much easier and cheaper. If you would benefit from support or guidance with working out a meal plan that might work best for you, book in for a nutrition consultation, and I can help you by taking the guess work out and help you create an awesome plan that's just right for you. P.s. If you've just scrolled to the bottom, hello there, and make sure you sign up to my monthly newsletter and I will send you a weekly meal planner for FREE. If you found this information helpful, share it on to your family and friends!